To the stars! 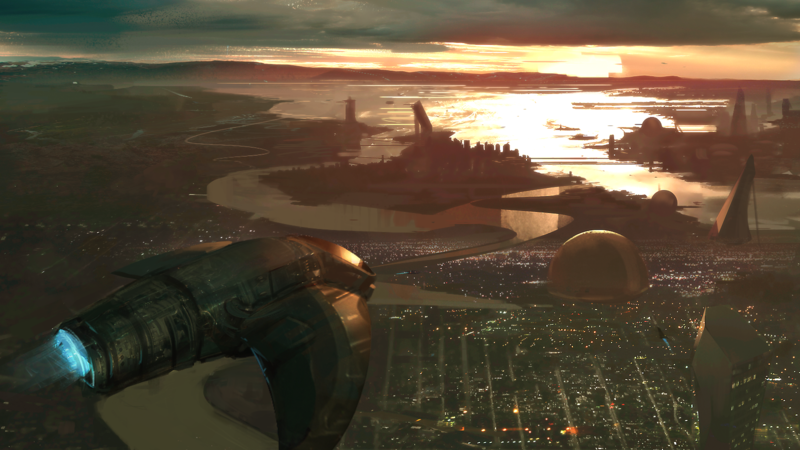 Sasquatch Game Studio announced today that it plans to release ALTERNITY (tm), a science-fiction roleplaying game that covers everything from galaxy-spanning empires to near-future orbital intrigue. The game system's flagship product, a 256-page hardbound book, will be available in 2017. "By mixing and matching the available modules, you can essentially invent your own future," said David Noonan, one of the designers. “We want Alternity to be a 'flexible foundation' for the stories that come alive at your gaming table." 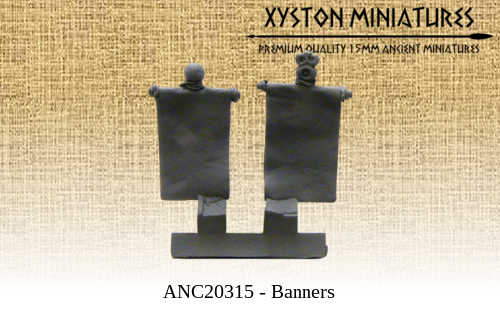 Developed with guidance from Alternity's original designers. Richard Baker and Bill Slavicsek, Alternity will feature a publicly available playtest packet in early 2017. Based on feedback from those external playtesters, Sasquatch plans to release the game in the second half of the year. We're introducing Dized - an interactive tutorial app for iOS and Android smart devices that allows you to start playing immediately—without even opening the rulebook. Learn by playing and have fun right away! 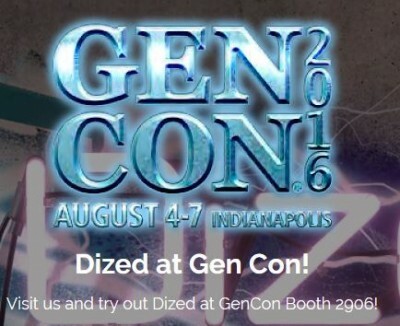 We invite you to try out Dized at Gen Con 2016 (booth #2906) and Spiel '16 (booth 2-D129). We would gladly tell you more about Dized and answer any questions you might have. Geekbox will debut at Gen Con and will be available at the finest game shops at the end of August at the suggested price of 2,79$ - 2,49€. 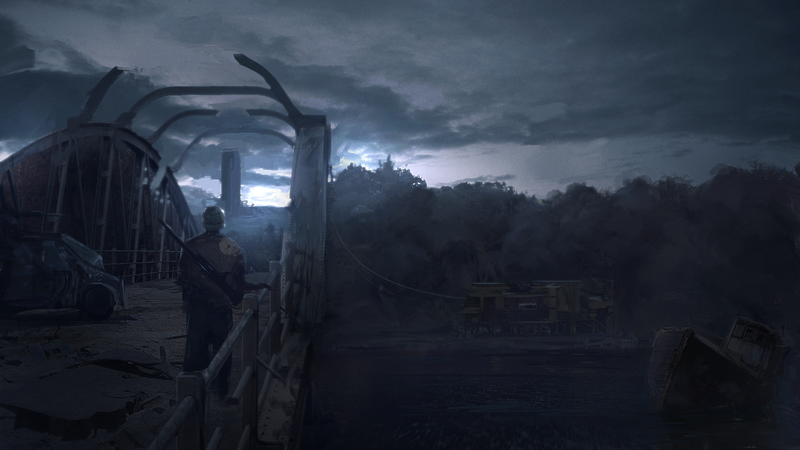 Cubus Games launches "Deadman Diaries". An innovative gamebook thriller in the form of a personal diary. “Deadman Diaries” is an introduction to Gamebook genre (an evolution of popularly known “Choose-your-own-adventure”), so the game has been designed to be quick and easy to read. Using the form of a personal diary, something new in the gamebooks world, readers are immersed in the life of John Riggs, a bank worker who has to pay off a gambling debt that will lead him to different illegal, and often lethal, situations. “Deadman Diaries” is available in English and Spanish for iOS and Android mobile devices. The special launch price is $0.99 / €0.99 / £0.99 both on AppStore and GooglePlay. 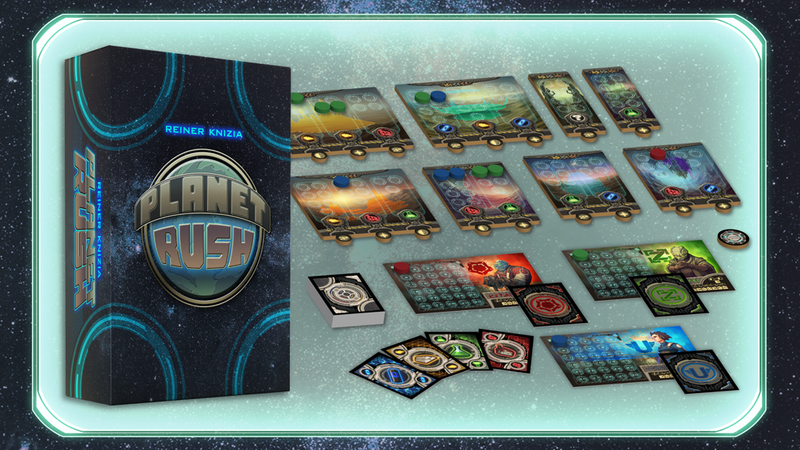 Victory Point Games will be launching a new Kickstarter this coming September for Planet Rush, a fun, fast eurogame for three to five players from designer Reiner Knizia. Set in an exciting sci-fi universe where the new space race is terraforming planets, players take control of one of five companies to try to build the majority of the new colony on the planet Aizink. The one who contributes the most wins with majority ownership of the planet! 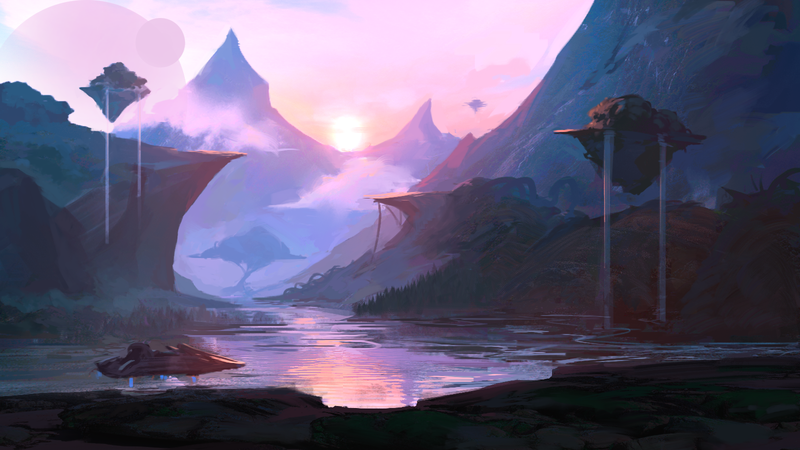 Players will build monolithic marvels of technology, ranging from enormous biodomes that will jumpstart the planet's ecology to mythical alien structures containing limitless energy. 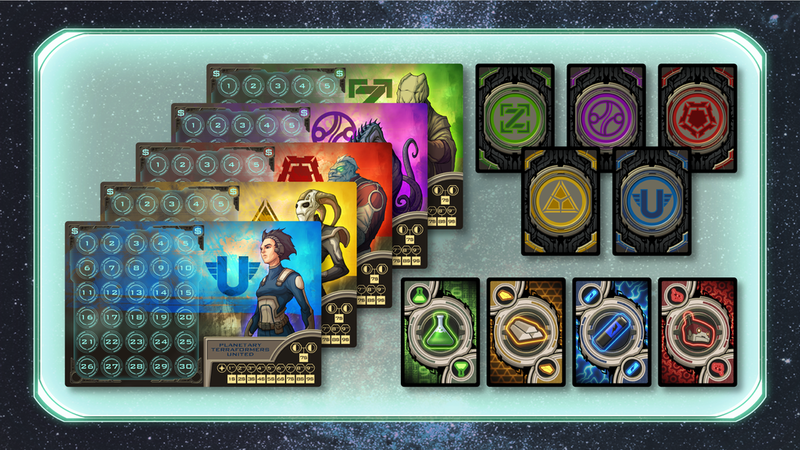 Each player uses their hand of resource cards to bid what they will contribute to each construct. Planet Rush will be the latest in VPG's Premier Line games, which also includes Dawn of the Zeds, Nemo's War, and their most recent Kickstarter, Darkest Night. 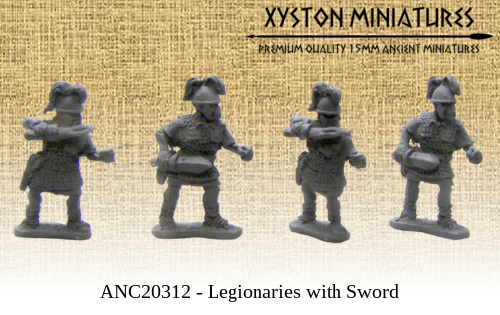 The Premier Line represents VPG's out-of-house print model with higher quality components to match the great, unique gameplay that comes with their games. In Sharknado™: The Board Game!, players work together against the game’s AI mechanic to win a chosen scenario, which can range from killing a certain number of sharks to destroying a Sharknado to simply staying alive as long as you can. The designers’ goal with the scenariobased approach is maximum replayability, and an underlying storytelling element in which players create their own Sharknado experience with each new game. We are excited to announce that within 9 hours of its launch, our Heavy Metal Kickstarter featuring detailed pewter miniatures and accessories funded and we're now drawing near to unlocking our first Stretch Goal. In an effort to meet the needs of potential supporters, we added a $30 pledge level as requested. 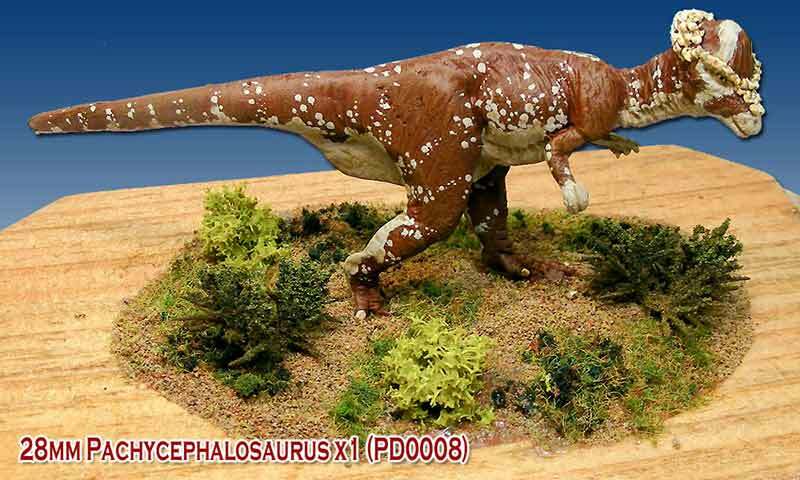 We have also updated some images in the photo gallery and project description. 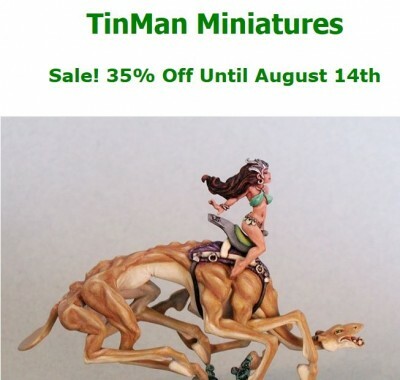 Heavy Metal runs until 6pm EST on August 16. We hope you consider backing this project. 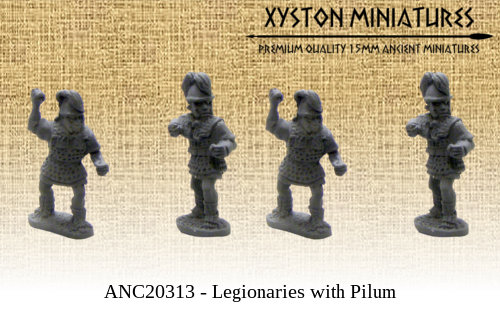 featuring the complete Undying Dynasties army. 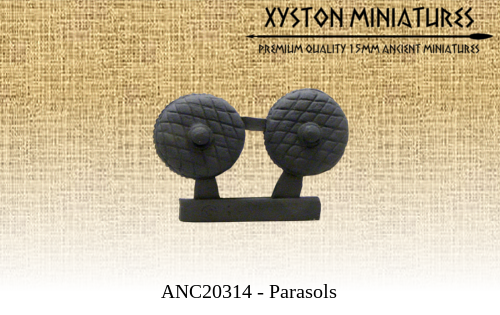 As promised we have already sculpted a few models to showcase our skills. 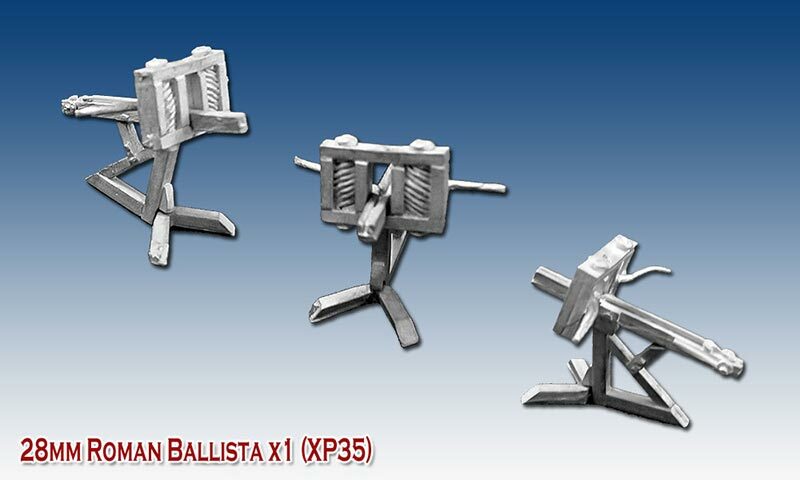 As the feedback was better than we had anticipated we have unlocked the Shabti model as well. 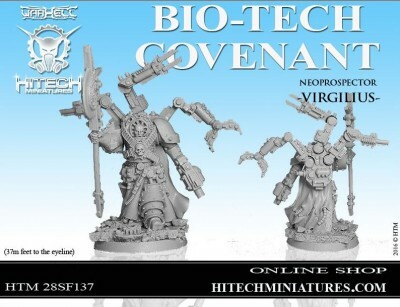 This means that the Pharaoh, and Death Cult Hierarch and the Shabti are available for purchase, starting now. 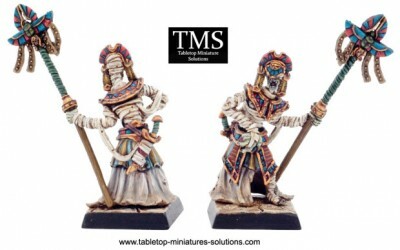 The limited edition model of the Pharaoh will only be available until the end of this campaign. First-time designer, Brandon Rollins and freelance artist, James Masino, are coming to Kickstarter in hopes to fund the printing of War Co. – Expandable Card Game. 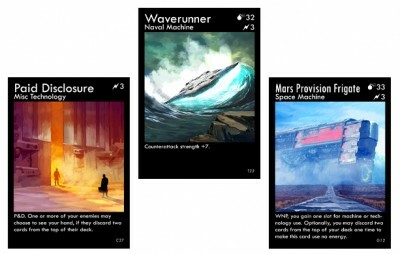 Long-time lovers of Magic: the Gathering and Android: Netrunner and neophyte gamers alike will enjoy the bleak-but-bright, scarcity-driven apocalypse of War Co.
War Co. is a completed game, launching with all artwork and a fully tested design. It was tested by the designer hundreds of times before being publicly available as a print-and-play game and Tabletop Simulator app for six months. Dozens of the game’s followers on Twitter and Instagram have helped refine the game during the weekly demos, and many more have blind play tested the game. Copies of the game will be available starting at $25, with free shipping to backers in the USA. The campaign is EU-friendly, Canada-friendly, and Australia-friendly, meaning rewards will be shipped from within those respective regions and no extra customs fees will be incurred. The campaign will conclude after 30 days. Backers are expected to receive their rewards in January 2017. Impact! has new dice for this year! 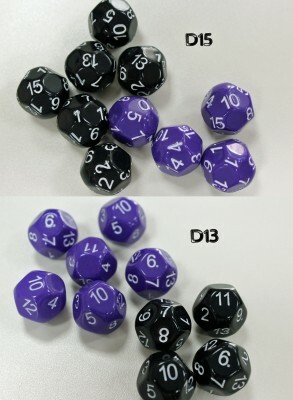 The D13 and D15 in Black and Purple will be making their debut at Gen Con for $2 each (they will be $2.75 in the store after Gen Con). Impact! will be at booth 1837 at Gen Con. If you buy one of our 18 dice sets (D3, D4, D5, D6, D7, D8, D9, D10, D%10, D11, D12, D14, D16, D18, D20, D22, D24 and D30 in 8 possible colors) for the Gen Con show price of $25 ... we'll throw in one of each of the two new dice for free. 37mm feet to the eyeline dimension. 1) Body 2) left arm with gun 3) right arm 4) halberd 5) mechanical arm 6) mechanical arm7) 8) mechanical arm 9) gripper 10) tongs 11) burner 12) 40mm scenic base. TinMan is back. After several months, the website is operational again. To celebrate this, they are having a 35% off sale. It was a long time since our last newsletter, but we finally get back on track. Please take our apologises for this delay. Now, let’s just crack on with the new releases.